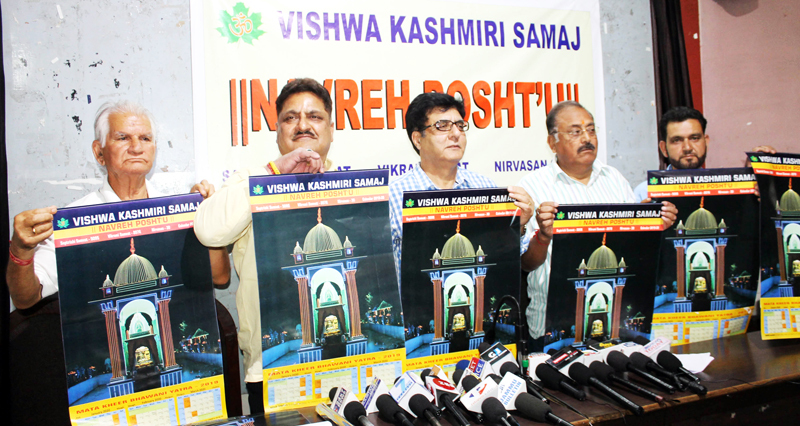 JAMMU, Apr 6: Vishwa Kashmiri Samaj released Navreh Koshur calendar. While briefing the media persons, Kuldip Khoda explained the essence of the festival Navreh, celebrated in Kashmir Valley and other parts of the country. He said that according to the legend, the Sapta Rishis assembled on the Sharika Parvata (Hari Parbat), the abode of the Goddess Sharika Mata, at the auspicious moment when the first ray of the Sun fell on the Chakreshvara on this day and paid tribute to her. Astrologers made the moment as the basis of their calculations of the Nava Varsha Pratipada, marking the beginning of the Saptarishi era. Kiran Wattal, Convener VKS said, Navreh is the Lunar New Year, which is celebrated in Kashmir and also in many parts of the country with enthusiasm and zeal. “It was on the eve Navreh that the Kulguru of a pandit family would get a new almanac Nachipatra-Sanskrit with a sacred picture of Maa Sharika on it”, he said, adding that “formerly the Nachipatri used to be in the form of a trolled scroll nut now it has taken the form of a small booklet known as Jantari. Before one day, Kashmiri Pandits in the Kashmir Valley would visit to the sacred spring Vichar Nag and took a holy dip in its waters to case off the wintery sloth and impurities”. He informed that since three years, VKS has taken up many issued with the Government and sought immediate redressal of the burning problems being faced by the Kashmir Pandit community for the last thirty years. 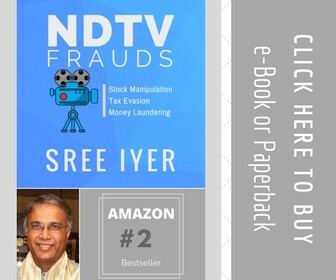 The problems, which were continuously highlighted were reservation in Central Government departments, encroachment of property, exgratia of leftover property, special recruitment in Police Department, issuance of RBA certificate, implementation of Ayushman Bharat scheme, enhancement of relief, reservation of three MLAs and MP for KPs to empower politically and passing shrine and temple bill. “VKS carried out various programmes including Mata Kheer Bhawani Yatra, mega medical camp at Jagti township, a grand programme for Pulwama martyrs, etc”, he informed. He requested all the biradari members and KP organizations to be united and fight the community cause collectively.